Hornsey’s priority is to nurture all students to become high achievers and the proof is the results. The school prospectus demonstrates this with colourful bubbles filled with statistics throughout and the photography reflects how welcoming the school is. 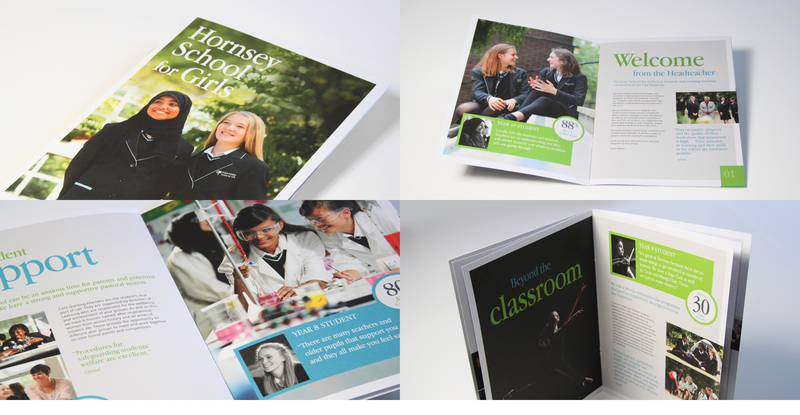 The school website uses a clear and contemporary layout with advertisement banners and a rolling logo manager to show off all Hornsey School’s accomplishments. With seventeen years of specialised experience designing for education, we are a highly creative school website design and branding agency, uniquely placed to provide schools with the right technical advice and the very best design work. We pride ourselves on being friendly and approachable; creating long lasting relationships with our clients to ensure continued success.